Well done to all of the children for their amazing effort today during the skipathon. We managed to successfully skip for four and half hours as a school! Everyone supported and cheered one another on. 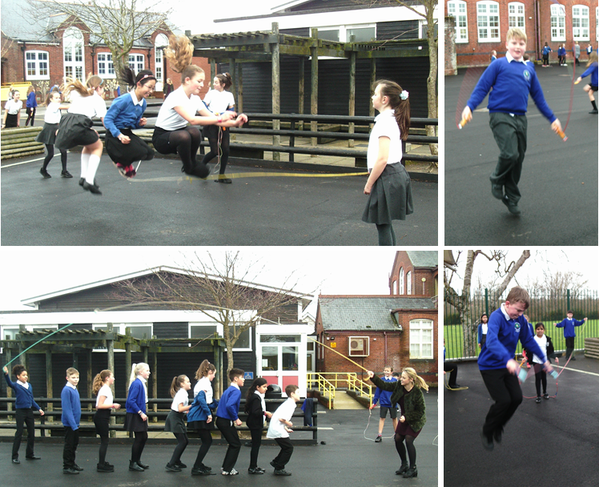 Check out the pictures of the one foot skipping, a double skip jump and year 6 even tried to skip with eight people in one go! We are all eager to find out how much each house team has raised for the fantastic charity Honeypots. All competition winners will be announced next week in school!